I was quite amazed to see this sleeve and not recognise it. It meant, under normal circumstances, that I didn't have this song (I have been fooled by my photographic memory many times, because some singles appeared in different sleeves). 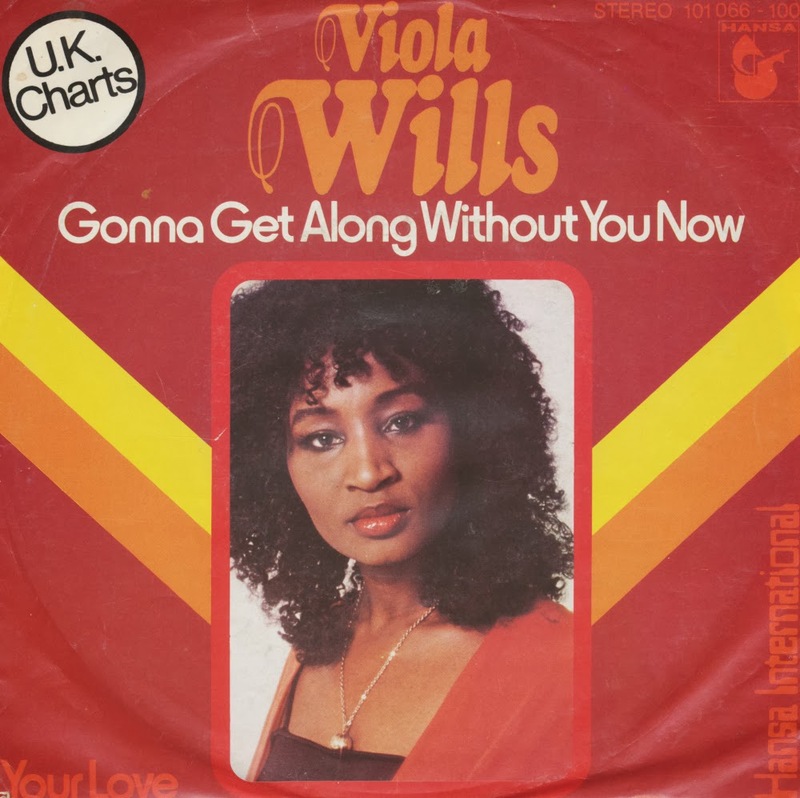 Viola Wills' 'Gonna get along without you now' is one of those late Seventies disco records that wasn't the biggest hit but still sounds so familiar because it was played a lot on the radio both in 1979 when it came out and in later years. The song is actually a disco cover version of a song written by Milton Kellern in 1951. The original version was recorded by Teresa Brewer and released in early 1952. It was recorded as a big band 'swing' track. The track was subsequently covered by countless others, including Chet Atkins, Trini Lopez, Bad Manners and UB40. Viola Wills was born as Viola Mae Wilkerson in Los Angeles on December 30, 1939. Wills was already married from her teens and was the mother of six children before the age of 21 when, in 1965, she was discovered by Barry White who signed her to Bronco Records and rechristened her with the shorter stage surname of Wills. 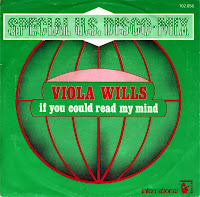 Her 1981 single 'If you could read my mind' was remixed by the DJ remix service Disconet. In that version, she had a hit in the Netherlands, reaching number 3. Wills died of cancer on May 6, 2009 in Arizona.